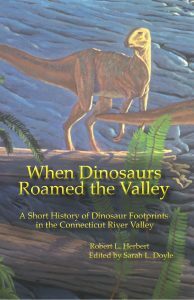 The story of the discovery and interpretation of dinosaur footprints from 1820-1850 in the Connecticut River Valley of Western Massachusetts by Edward Hitchcock and others. Published June 2017; 28 pages. Now available at 25% off — a $15 savings. Poetry to the Earth, written by Curator of Memorial Hall Museum Suzanne Flynt, chronicles the extraordinary story of how Arts and Crafts transformed this western Massachusetts farming village into a leading crafts center. In this first history of slavery in western Massachusetts in colonial times, Robert H. Romer demonstrates that slavery was pervasive in the Pioneer Valley in the 1700’s, where many of the ministers and other “important people” owned black slaves. An out-of-print exhibition catalog chronicling the needlework and paintings created by females students at Deerfield Academy in its first three decades. by Suzanne L. Flynt, 196 pages, 100 tritone and 40 duotone images, cloth. Frances Stebbins Allen and Mary Electa Allen were recognized as two of the “Foremost Women Photographers in America” in 1901. Working within Deerfield, Massachusetts’ Arts and Crafts movement, the Allen sisters created exquisite photographs for turn-of-the-century exhibitions and publications. Their idealized images of figure and child studies, landscapes, and country life in New England are joined by photographs taken while traveling to Great Britain in 1908 and California in 1916. The compelling story of Frances and Mary’s lives and careers are documented in this 2002 publication. The illustrated biography includes 140 reproductions of idealized photographs of figure and child studies, country life, and landscapes of New England, Great Britain and California. 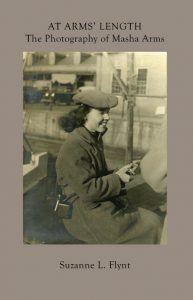 The foreword is by Naomi Rosenblum, author of The History of Women Photographers. This book completes the tale of Stephen Williams’ captivity among the French and Indians begun in The Boy Captive of Old Deerfield. Abducted at Deerfield and later separated from his family, Stephen was forced to march with a small band of Indians through the Green Mountains to Lake Champlain. Stephen survived cold, hunger, exhaustion and the despair of a captive. He learned Indian ways from his friend, Kewakcum, and lived as an Indian child for more than one year. The account of his struggle to survive is an authentic story of life in frontier New England at the beginning of the Eighteenth Century. This detailed and complex study is a story of how people have shaped a New England townscape over more than three centuries, dividing and combining property as opportunity and need arose. It is a history punctuated by family life cycles, community events, and far-off decisions of European monarchs. In the landscape and the lot histories are the stories of marriages, economic woes and triumphs, disease and epidemics, untimely fires, ethnic change, warfare, and institutional growth. Understanding these lot histories requires historic context, for the history of individual lots emphasizes human agency and choice, not just the patterns of culture or events. Note: Additional shipping costs may apply to international orders.